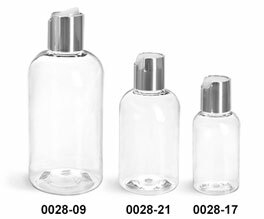 The clear PET boston round bottles come topped with silver metalized polypropylene disc top closures. 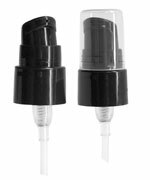 These smooth silver disc top caps offer easy dispensing for many products such as lotions, soaps, and shampoos. 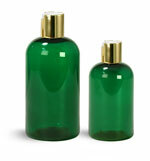 The plastic bottle's shape leaves plenty of room for an elegant label of your choice.